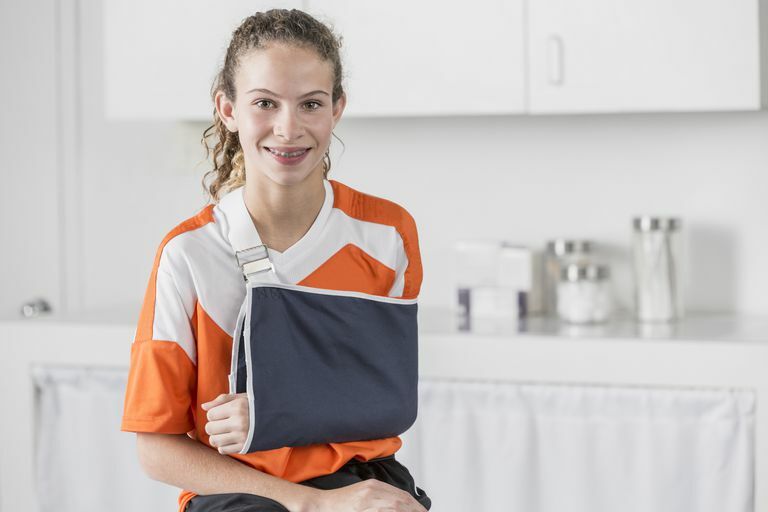 Broken bones are common injuries, and many children will experience at least one fracture in their growing years. How they happen — and how we treat — can be very different in children than adults. Because a child's bone is growing rapidly, it has more flex and may not break completely. Instead, what we will see is a break more commonly referred to as a greenstick fracture. The term "greenstick fracture" is used because it evokes of a young, green branch that bends, and even splinters, but doesn't fully break. As such, is classified as an incomplete break since only one side of a bone is broken while the other side is merely bent. While greenstick fractures mostly occur in infants or toddlers, they can sometimes occur in children during their early adolescent and pre-adolescent years. A greenstick fracture is one of four types of incomplete fracture characterized a visible bend in a bone that causes a break at the opposite side. They are different from buckle fractures, which are caused by impact, or bow fractures in which the bending of a bone causes it to snap. Although a greenstick fracture can result from a fall or an impact to the shin or forearm, the fracture pattern often suggests a bending or contortion of a limb. This can arise when a child's arm is twisted too forcefully, either intentionally or unintentionally. A greenstick fracture can be very painful. In smaller children and babies, a greenstick fracture will almost universally cause the child to cry inconsolably. Older children will typically clutch the injured limb or body part to protect it. Localized bruising and swelling may also occur. If the fractured bone is not badly bent out of alignment, a splint or cast may be all that is needed to treat the break. A growing skeleton has the remarkable ability to remodel bone so that fractures can often realign themselves over time with little intervention. The healing of a greenstick fracture is dependent on a number of factors, including the age of the child, the severity of the break, and the location of the break. By and large, the younger the child is, the easier the recovery will be. In some cases, the greenstick fracture will need to be bent back and repositioned in a procedure called a fracture reduction. An anesthetic may be needed as the doctor manually realigns the child's bone into the correct position. Following the reduction, a cast or splint would be applied to stabilize the bone and maintain its proper alignment. Depending on how quickly the bone heals, a cast may be necessary for a few weeks, a month, or even longer. For injuries involving the wrist, a removable splint tends to work better as it allows reasonable movement as the bone begins to heal. This can prevent the stiffening and restriction of movement that can occur when the wrist is completely immobilized. Poutos, I.; Clegg, J.; and Siddiqui, A. "Diagnosis and treatment greenstick and torus fractures of the distal radius in children: a prospective randomized single-blind study." J Child Orthop.August 2010; 4(4): 321-326.